You know the symptoms: you can’t get enough of Disney, you’re mentally planning your next trip as soon as you get on Disney’s Magical Express, your screen saver is Disney-themed, and half of your friends on Facebook are Disney buddies: you are addicted to all things Disney. Perhaps you’ve taken one trip, perhaps you’ve visited more than 50 times… there is just something about visiting Disney that makes your pulse quicker and leaves a broad smile on your face. This was… er… is me. I’m an annual passholder, DVC member, and I go to Walt Disney World (and increasingly, Disneyland) as often as time and budget allows. A few years ago, in an effort to fundraise for an important cause, I decided to get to know a different side of Disney — runDisney. 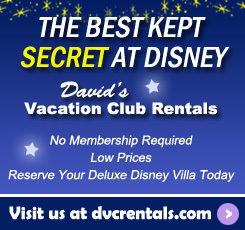 You probably know that Walt Disney World and Disneyland host several races during the year. Curious to learn what it’s all about? Think you might want to try them? 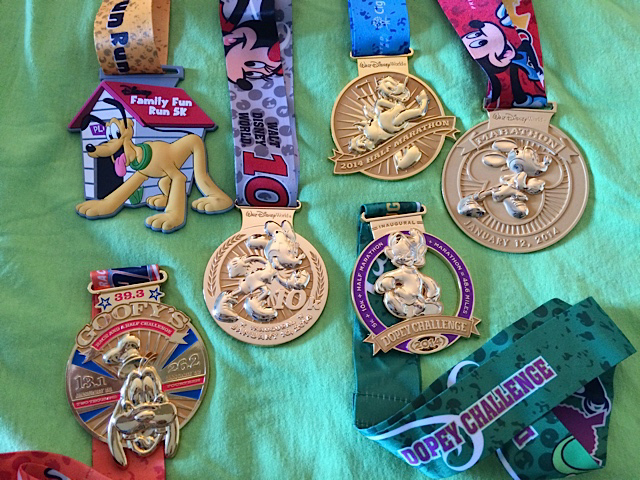 Here’s your chance to learn more as I present… (drumroll) the top 10 reasons that I think you should run Disney races. 10. The race announcers, training, and support: runDisney has put into place a wonderful team of folks to help you succeed in your race goals. Olympian Jeff Galloway’s training plans are available on the runDisney site, tips and videos from Diet Diva Tara Gidas are super-helpful in getting your training going. In addition, race announcers extraordinaire Rudy Novotny and Carissa Bealert make every race start a party to celebrate your accomplishment of just getting to the starting line. 9. The extras: runDisney offers lots of extras during race weekends to make your experience special. From Pasta in the Parks parties to Race Retreat, a special private tent with breakfast and extra perks, you can really spoil yourself on race weekend. 8. The theming and entertainment: This is Disney — you know that they know how to do entertainment. There is something special for every mile of the race: characters, floats, bands, themed mile-markers, music. There are always fun things around every corner. 7. The Expo: The Expo is sort of like a “mall for runners” and there is one at every runDisney event (some are larger than others). You’ll find Disney-themed running merchandise, but also a chance to buy neat running items from vendors (often at discounted prices). 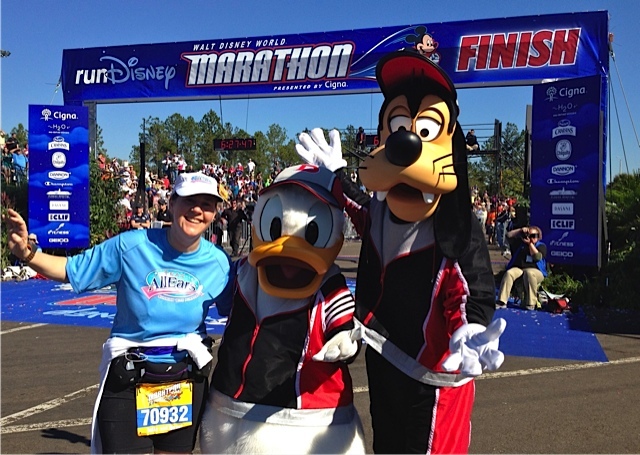 You’ll also get a chance to meet runDisney celebrities and listen to seminars about running. 6. The race shirts: runDisney “tech” shirts are very cool and themed to each race. For instance, the Tower of Terror 10-miler shirt glows in the dark, the Jingle Jungle 5K shirt is holiday-themed with Disney characters. I have a whole collection at this point and I proudly wear them to the gym, as well as around Disney parks when I go on vacation. 5. The organization: Disney knows how to do it right. Race director Jon Hughes and his team do an amazing job designing interesting race courses that are safe for runners. These races have thousands of runners (many of them new runners) and everything from medical tents to water stations to the finish line are organized to make running fun. 4. There is a race for everyone! Yes, that’s right, whether you’re just getting off the couch or an experienced distance runner, runDisney offers a variety of races. The 5K races are perfect for new runners, families who want to run together, or experienced runners who just want to have a great time. 5K races are offered at every major race and is a great goal for those just beginning. 3. The bling: The runDisney medals are awesome. There is no other word for it. Also, there is something that happens at Disney parks that doesn’t happen at local races: folks wear their medals around the parks after race day (and sometimes for several days afterwards). You worked hard for it, why not? It’s a great way to celebrate your accomplishment with others and give them a “high five” for their hard word. 2. Running through the parks: I’ve done it countless times now, but I still get a thrill every single time I run up Main Street USA with a crowd cheering! Wow! Running through the castle (on both coasts), running around World Showcase in EPCOT, running through Animal Kingdom, and running through California Adventure with the World of Color fountains going… there is just nothing like it. 1. 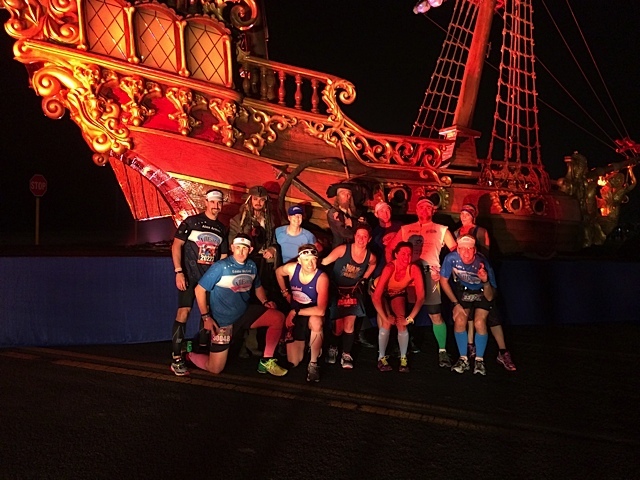 The runDisney community: This may surprise you, but there are lots of folks who do many of these races throughout the year… and a fun, more supportive bunch you won’t find anywhere. There are groups on social media, blogs galore, and even a podcast that can help answer your questions about training. The folks I’ve met through running Disney races have become some of my best friends. This past January I ran my second Disney marathon with 10 friends and it was an amazing experience. So, what are you waiting for? You love Disney… this is your chance to get to know Disney in a whole new way and do get fit at the same time. 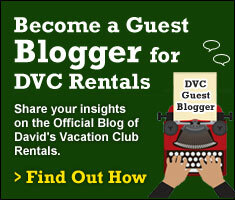 Many thanks to our Guest-Blogger, Michelle Scribner-MacLean. 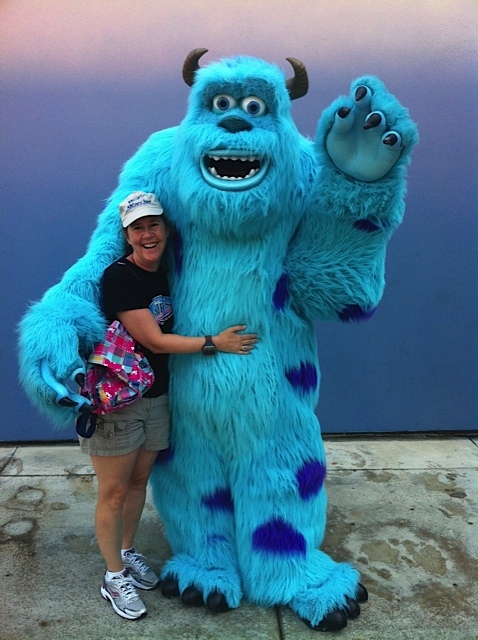 Michelle is the co-host of the Mickey Miles Podcast, the podcast about running Disney races. A Disney addict from way back, she ran her first Disney race about 5 years ago and runs in many Disney races throughout the year. You can download the podcast on iTunes, find Michelle on Twitter (@mickeymilespod or @scribmac) and Instagram (mickeymilespodcast), or follow the Mickey Miles Podcast on Facebook. 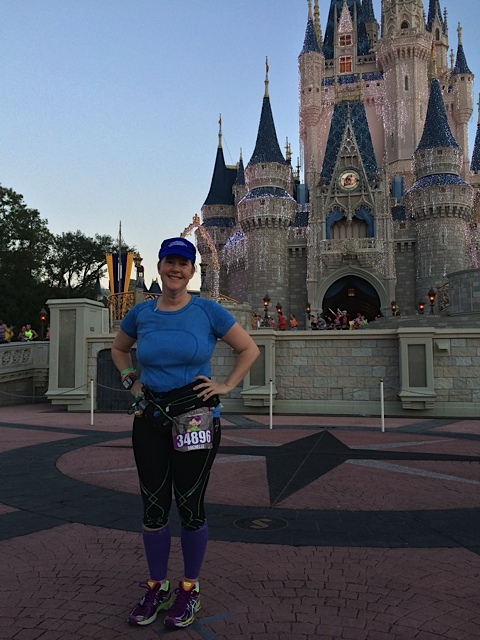 2 thoughts on "Top 10 Reasons to Consider Getting Your Disney Fix with runDisney"